Colorado College alumna Jane Lubchenco ’69 has been awarded the Public Welfare Medal by the National Academy of Sciences. The award, announced on Jan. 30, is the Academy’s most prestigious, presented annually to honor individuals who have continued to demonstrate the extraordinary use of science for the public good. Lubchenco, currently the Distinguished Professor of Marine Science at Oregon State University, majored in biology at Colorado College. Since her time at CC, the Denver native has had a prolific career in the sciences, as a researcher, educator, and public servant. With a master’s degree in zoology from the University of Washington and a Ph.D. in ecology from Harvard University, she is an internationally renowned authority on oceans, biodiversity, climate change, and human-environmental interaction. 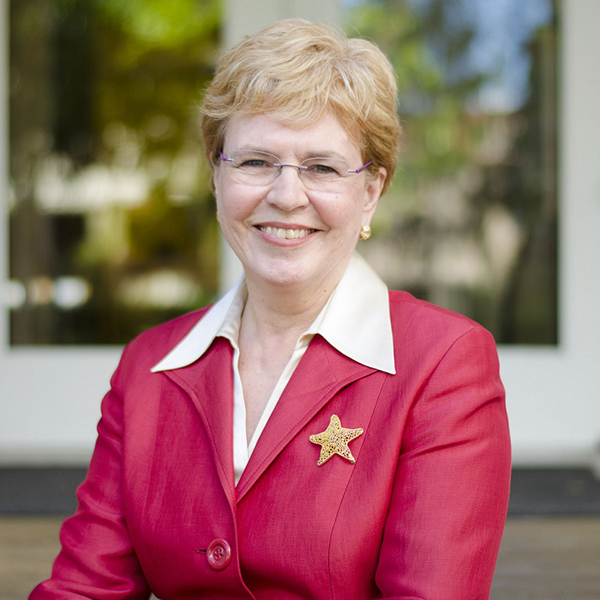 The first woman administrator of the National Oceanic and Atmospheric Administration from 2009 to 2013, Lubchenco also has served as the president of the American Association for the Advancement of Science, the president of the International Council for Science, and the president of the Ecological Society of America. Additionally, she was a board member of the National Science Board for 10 years, was appointed to the Board of Trustees of the National Geographic Society in 2013, and took a position on the Harvard Board of Overseers in 2014. Lubchenco also completed a two-year term as the first U.S. Science Envoy for the Oceans and Atmosphere, for which she was appointed by President Barack Obama in 2009. Returning to her undergraduate alma mater in 2014, Lubchenco gave the address at the 132nd Commencement ceremony.